Neon Tetra disease is a common and unfortunate obstacle many aquarium hobbyists will encounter. While the disease is most prevalent in Neon Tetra, it can affect other species in your aquarium. There are numerous symptoms and immediate signs you can identify to confirm the infection in your aquarium, but sadly there is no common cure to apply that will remove the disease, as a result the main treatment practice is to remove the infected fish immediately to preserve the remainder of your aquarium. 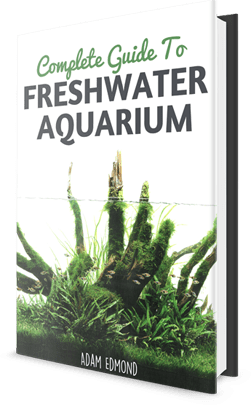 With this in mind, the key to preserving a healthy and safe aquarium is proactive management and preventative measures to help sustain and clean and thriving aquarium. 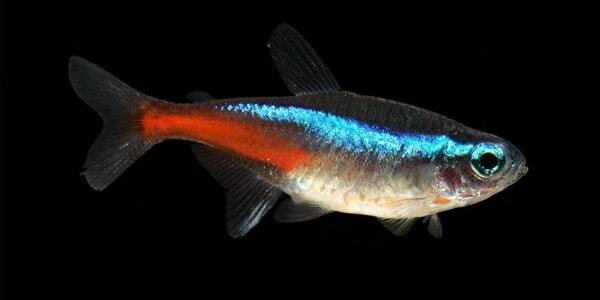 An organism called Pleistophora hyphessobryconis causes Neon Tetra Disease. The disease is communicated throughout the fish in the aquarium once fish consume the dead bodies of other fish in the tank or live food servings such as Tubifex, which can act as an intermediary carrier of the disease. Once the fish in your tank consume the deceased particles, parasitic spores enter the body of the fish and begin to consume the healthy host. As the disease progresses, cysts begin to show on the infected hosts and they begin to deteriorate from the inside out. This is most commonly evidenced by a pale white color on the infected fish. The disease has many key identifying traits that will alert the attentive aquarist to the issue. These symptoms include the obvious physical effects like the cysts on the body of the infected fish. However, the fish will also begin to lose color, show difficulty in swimming, or, in more extreme cases, the shape of the fish’s spine may also become curved. There is also the probability of a second infection like fin rot or bloating of the infected species. 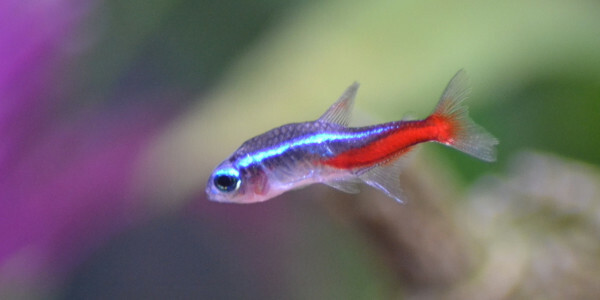 The first key indicator of Neon Tetra Disease in your aquarium is restlessness of infected fish. For example, you’ll notice that the infected host will no longer school or swim with its fellow inhabitants. They will often break off from the group or swim erratically. This unprecedented move of individuality in a fish known for schooling is the result of the disease beginning to affect the fish. Following suit, the color and fins will also be most clearly effected by the disease, however, this is in more advanced stages of the infection. Do your best to spot the issue early on to prevent widespread contamination of your aquarium. 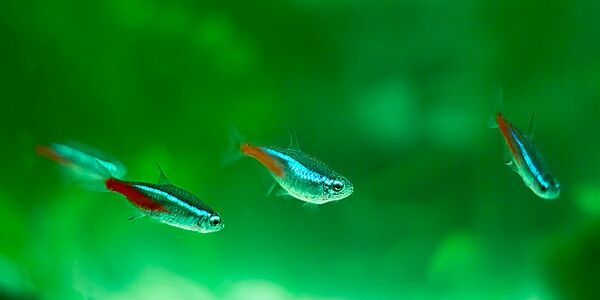 Neon Tetra Fish are the most common victims of this disease, however, other fish such as Angelfish, Barbs, and Rasboras have also been known to contract the disease. The only fish species that does show resistance to the infection is Cardinal Tetras. Unfortunately, there is no medicine or treatment to administer to infected fish with Neon Tetra Disease. The main protocol is to separate the infected inhabitants and to euthanize them to prevent further contamination. The best response one can have to this issue is to take preventative measures against a second outbreak. An aquarist can do this by maintaining high quality water levels with regular cleaning, especially after the initial outbreak. In addition, one should also be very strict in purchasing his or her fish to identify the above symptoms in pet stores before you purchase and bring them to your home aquarium. As a best practice, you can also quarantine new fish from your aquarium for a couple of weeks before introducing them to the new environment. In the event that you do spot any sort of infection, do your best to immediately remove the fish from the aquarium as early as possible. Is it possible to completely eradicate the disease from a tank even after infection? 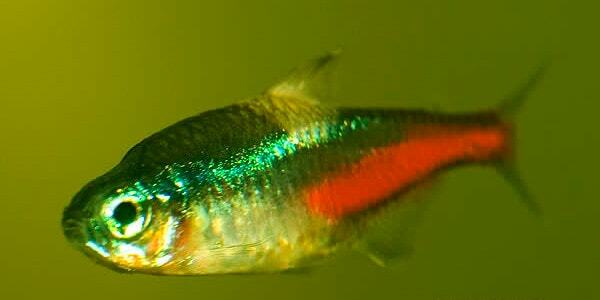 Neon Tetra Disease is highly contagious due to the way it is communicated between fish species. It is of the utmost importance to immediately quarantine infected fish and to maintain high quality water levels and cleanliness to not further damage the eco system. The tank is not so much as the issue of reintroducing the disease as is the fish communicating it amongst each other. Take other preventative measures such as maintaining healthy water levels in temperature and current as to not agitate your fish further. Do all Neon Tetras carry this disease? No, the disease is communicated amongst many different species and is the result of fish consuming other deceased fish tissue. The main factor to avoid this disease is to never purchase fish that appear to be sick prior to your care. What are some of the best ways to spot the disease early on? Restlessness among fish, discoloration, fin rot, and other physical signs can be seen among infected hosts. Once identified, immediately remove them from your aquarium. Hope I’ve managed to clear the air on Neon Tetra Disease. It’s important for you to learn the symptoms so that you can make early intervention so as not to cause an outbreak in your tank. What do you do with the infected tetras? Can over feeding glowlight tetra can cause them to get infected? No. But over feeding creates ammonia and makes them more susceptible to disease. It was very well written artical on tetra. Your artical gave me more information about how to treat tetra while suffering from diseases and how to take care of them. i love the way how you mention about their symptoms and prevention. When choosing a prepared food for my glowlight tetra, I would recommend TetraMin Tropical Flakes. I have always had success with this food in the past and it is known for its high-quality ingredients. When the tank is empty of fish when can you start reintroducing new tetras without them getting the diesease again?